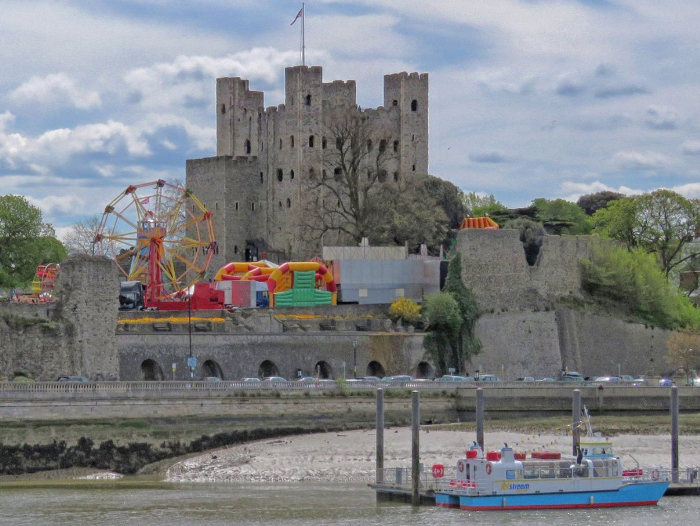 Cruise the river Medway for a day trip to Kent! Sailing from Rochester pier to Southend, Gravesend, Chatham and the Red Sand Towers. Operated by Jetstream Tours. Take a 1-hour cruise on a weekend aboard our new RiverCruiser and take in the spectacular views through our panoramic windows or the fresh air from the outside deck. Our informative commentary will let you discover Upnor Castle and allow you view Chatham Historic Dockyard from the water. Cruises depart at 11:00, 12:30, 14:00 and 15:30*. We have a fully equiped bar onboard selling a variety of refreshments, wheelchair accessable and dog friendly! Click the "Book Now" button to see available dates. *some times and dates may not operate due to other tours, please check before you travel. If you have been awarded tickets for Kent Big weekend, we have had to close the weekend of the 6th April. Your tickets are still valid on other dates. Please select the date in which you wish to travel and then enter your five digit voucher code at the top of the ticket type page. For many years paddle steamers such as the “Medway Queen” have offered trips across the Thames Estuary to the world’s longest pier at Southend. 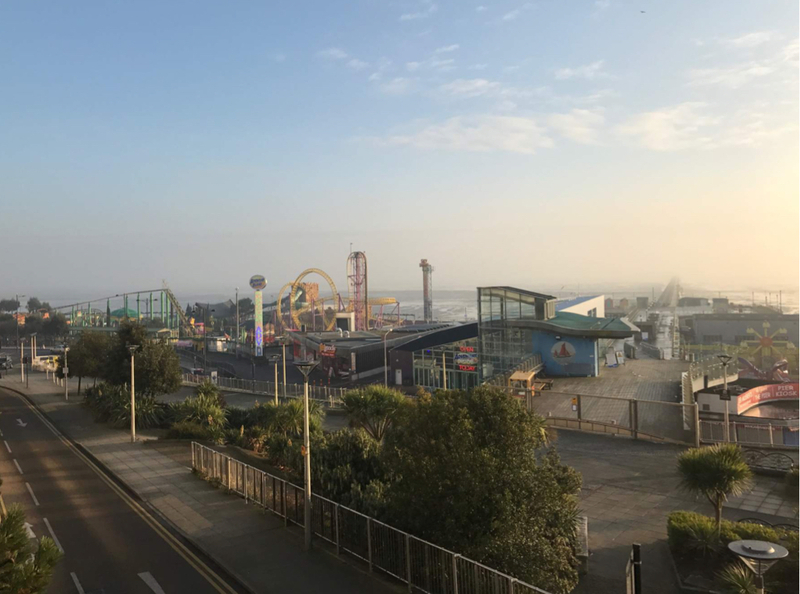 Join us on this fantastic day out to once again have fish and chips on the beach, visit Adventure Island or ride the train to the end of the pier. Time ashore will vary depending on tides but we aim to give you about 4-5 hours of free time. *timing may vary depending on the tide. NOTE: Departures are subject to weather and sea state. If cancellation is nessessary, you will be notified no later than 2000pm the night before departure and will be offered an alternative date. Take a Trip from Rochester Pier to the Eerie World War 2 Maunsel forts , called the Red sand Towers. These Historic monuments stand in the estuary some 9 miles from Southend and 5 Miles from Whitstable. 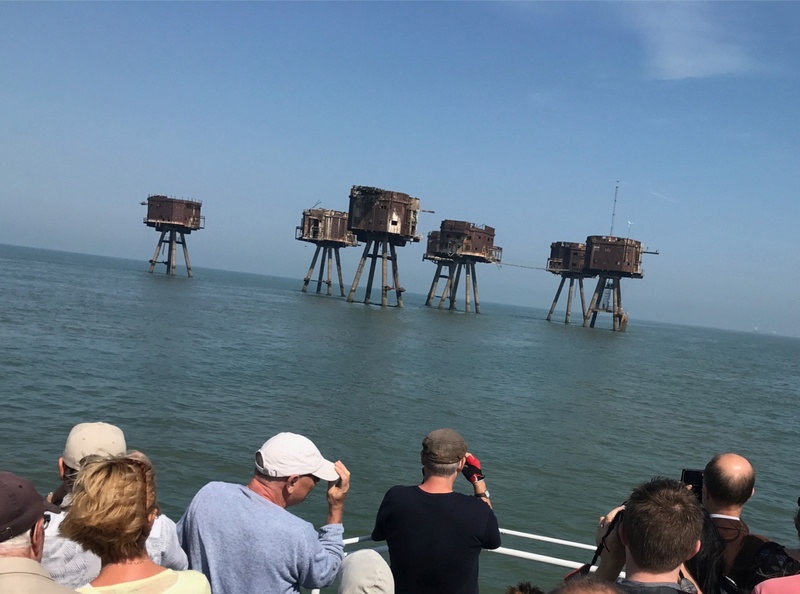 It will take approximately an 2.5 hours hour to reach the Towers and will pass by the numeorus Island forts that have guarded the Medway Estuary since the 1860's. You will get chance to take plenty of photos in and around the towers as our vessel is small enough to pass between and under the structures. (We do not allow anyone to board the structures). If your an avid photographer, grab your long lenses to see if you can snap photos of the Peregrine Falcons. On the return journey we will pass round the SS. Richard Montgomery (outside the exclusion zone) before returning back up the Medway to Rochester. A full commentary is available on the vessel along with a Bar and Toilets. NOTE: All departures are subject to weather and sea state. If cancellation is nessessary, you will be notified no later than 2000pm the night before departure and will be offered an alternative date or a Gift voucher valid for 1 year to use on any future tour. The Living River Foundation presents these unique series of cruises on the River Medway, supported by Jetstream Tours. Join us while we take a three hour evening cruise along the Medway with a with local and prominent speaker. Fish and Chips with a cash bar will be available onboard. This is a chance to discover the history, the wildlife and cultural importance of the Medway Estuary. In this informal but intimate setting gives you an opportunity to see the esturay in its glory and to ask questions and get a full insight to the speakers topic. But if you would just like to join us for the cruise then you are welcome to just enjoy the evening. The speakers on each cruise will vary but will include presentations from Birdlife, Rochester Oyster and Floating Fishermen and Institute of Fisheries Management.